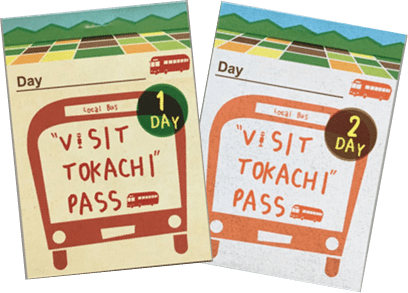 What is VISIT TOKACHI PASS? 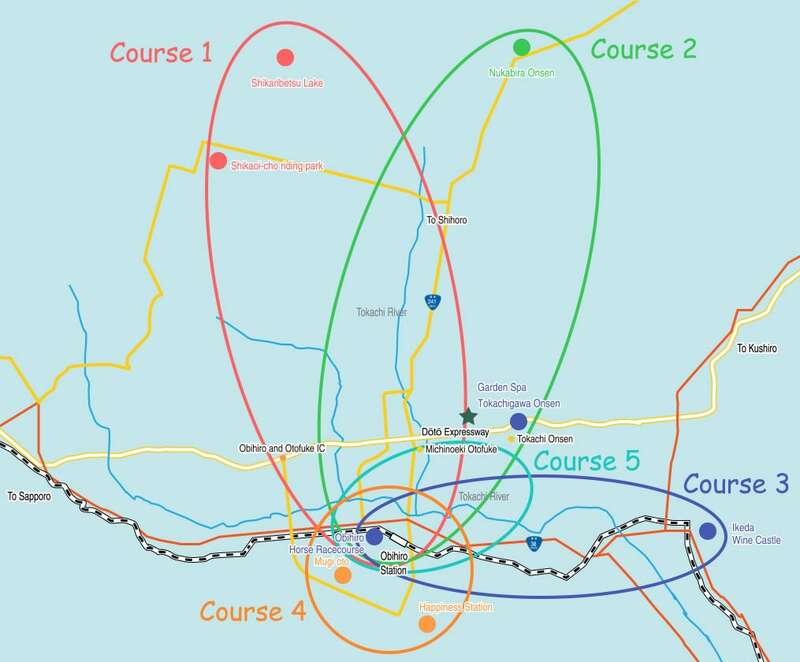 This is a convenient unlimited ride pass for people who visit Tokachi, such as Banei Horse racecourse, Tokachigawa hot spring, Lake Shikaribetsu, Nukabira hot spring village, Old National Railways's Happiness Station and Aikoku Station, where you can enjoy the attractions of Tokachi at a reasonable price. Those who live in Japan and visit Tokachi for sightseeing. For people living within the Tokachi General Promotion Bureau, not eligible for sale. Together with identification cards (driver's license, my number card etc.) that identifies your current address at the time of purchase, We will check tickets or airline tickets (e-ticket also possible) when coming to Tokachi. Enjoy the ice cafe and the open-air bath on ice in Shikaribetsu Lake Kotan. Horse riding experience at Shikaoi-cho riding Park for 30 minutes, 4,630 yen Enjoy the ice cafe and the open-air bath on ice in Shikaribetsu Lake Kotan. *Admission fee 100 yen Free wine castle guide tours and tasting are also available. Breakfast is in the largest bakery of Japan using 100% of Tokachi wheat. It is a station on the Hiroo Line of the old JNR. Selected as a sacred place for lovers. Lunch at DAICHINO TAKUMI, then hot spring bathing in the garden spa Tokachi River (or each hotel). A Yakiniku restaurant where you can enjoy the beef and vegetables of Tokachi. After that, you can relax at the valuable Moor hot spring. Dining room in the Obihiro Local Wholesale Market "Fuji-zen"
This dining room is operated by the Obihiro Local Wholesale Market . Using fresh ingredients and seasonal ingredients, "Daily Set Meal" and sushi are recommended. A bagel store that uses Tokachi and Hokkaido wheat and is also dedicated to water and manufacturing methods. Lunch menu and sweets are also fulfilling. The famous restaurant of pork bowl which is Tokachi's soul food. Butadon to choose from three types of Pork loin, Pork fillet and Pork belly use the pig of Tokachi. On Saturdays and holidays, Please prepare for the queue. A specialty store dealing with Tokachi natural cheese, sweets such as cheesecake carefully focused on Tokachi ingredients. Cafe also available. A restaurant operated by the leading confectionary store "Ryugetsu". You can enjoy Italian menu such as seasonal pasta・pizza. Delicious at reasonable price, a famous Obihiro Jingisukan restaurant. Hormone udon is a must-eat! We also have a take-out menu. A popular restaurant of Jingisukan, a large bear statue beside the entrance. Other than Matton・Lamb, the selection menu is also available. Weekday lunch is even more deal! A popular restaurant with homemade ham and sausages using "Doro-buta pork" which was grown in grazing in the vast land of Tokachi. A long-established confectionery shop in the southern part of Obihiro City for 70 years. There are many sweets, including famous sweets "Milk Road", cakes and baked sweets. It opened in July 1963 as the second zoo in Hokkaido and has 400 species of 73 animals. There is also a retro amusement park. Opened in 1991, Western paintings with themes such as works by artists from Hokkaido-east, contemporary prints and the Barbizon School rural landscapes are exhibited. The first indoor speed Skating ground in Hokkaido. You can skate at the open time. A 1.3 km long white birch avenue at the entrance of Tokachi Farm established in 1910. It is one of the most beautiful scenic spots in Tokachi, which was also used as a location site for film and drama. The southeast of Obihiro, the only ski resort in southern Tokachi in Makubetsu-cho. It takes 90 minutes from Obihiro Station without transferring. A shrine built in 1900. It is known as a shrine where there are Hokkaido squirrels, and in the spring we can see cherry blossoms. Roadside station in Shihoro cho, north of Obihiro. Renewal opened in 2017. You can buy memorabilia of Shihoro limited! New Year's Holiday. There is temporary closure. A buffet restaurant using ingredients from Tokachi Shikaoi and Hokkaido. You can enjoy homemade dishes such as grandma's nikujaga. Hokkaido's leading soba restaurant, Shintoku-cho. The authentic handmade-soba restaurant established in the Taisho era in front of Shintoku station. You can enjoy the aroma of local soba. Bus tour to departure Obihiro in the afternoon and observe jewelry ice! Weekdays 10 bus service, Saturdays, Sundays, and holidays 12 bus service are convenient! Inter-city bus connecting Asahikawa and Obihiro. Bus service via Furano and Biei 3 bus service per day , and via Sounkyo 1 bus service per day. One-Way: 3,240 yen (1,620 yen per child) , Time required: 3 hours 45 minutes to 4 hours. Copyright © VISIT TOKACHI PASS All rights Reserved.